The off-season is upon us, but we have plenty of content to keep you occupied here at BlogToBlogChamps. Each Monday, we’ll publish a feature from the 2014 York Revolutionary Times, the official game day magazine of the York Revolution, for you to re-enjoy, or read for the first time in case you missed it at the ballpark. This week, dive into this profile of longtime Revolution catcher Salvador Paniagua, who has been with the club since 2011. Like many other young baseball players growing up in the Dominican Republic, Revolution catcher Salvador Paniagua’s dreams of one day playing professional baseball were not born on grass-covered fields like the ones we’re all accustomed to watching our sons and daughters play on. Instead, picture nothing but bare dirt, except for a few rocks thrown in as adornments. Happy Holidays and Happy New Year Revolution fans. 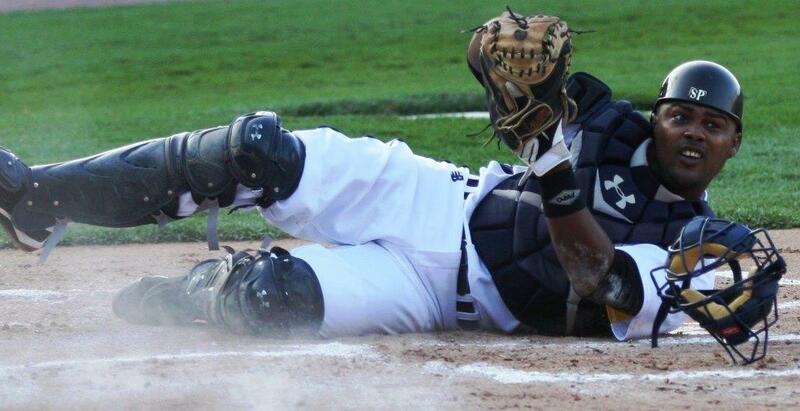 Enjoy this video recapping the top five plays at Santander Stadium from the 2014 season. The off-season is upon us, but we have plenty of content to keep you occupied here at BlogToBlogChamps. Each Monday, we’ll publish a feature from the 2014 York Revolutionary Times, the official game day magazine of the York Revolution, for you to re-enjoy, or read for the first time in case you missed it at the ballpark. This week, dive into this profile of left-handed starting pitcher Alain Quijano. At this point in his baseball career, there’s a whole lot of “what might have been” that could easily be haunting Revs’ pitcher Alain Quijano. After a standout high school career at Des Moines (IA) Lincoln High School, where his father Alec was the head baseball coach, Quijano received an offer to play in college at Iowa State University, only to see that opportunity vanish into thin air when the Cyclones’ baseball program was dropped in 2001 due to budget cuts. 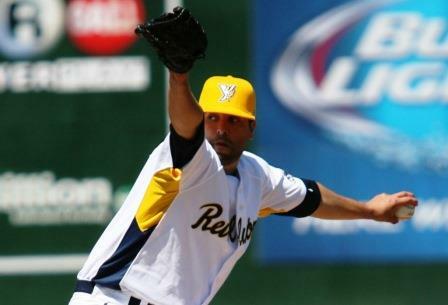 To keep his baseball career going, Quijano walked on at Marshalltown (IA) Community College (enrollment 2,000), where he pitched well enough to garner all sorts of attention and scholarship offers from top baseball programs, before committing to play at the University of Missouri and what appeared to be a promising chance to showcase his talents at a major Division I program. We have our first confirmed retirement of the off-season, albeit one on a very positive note. Now former Revolution first baseman Chad Tracy has elected to end his playing career, and has accepted a managerial position with the Los Angeles Angels of Anaheim. 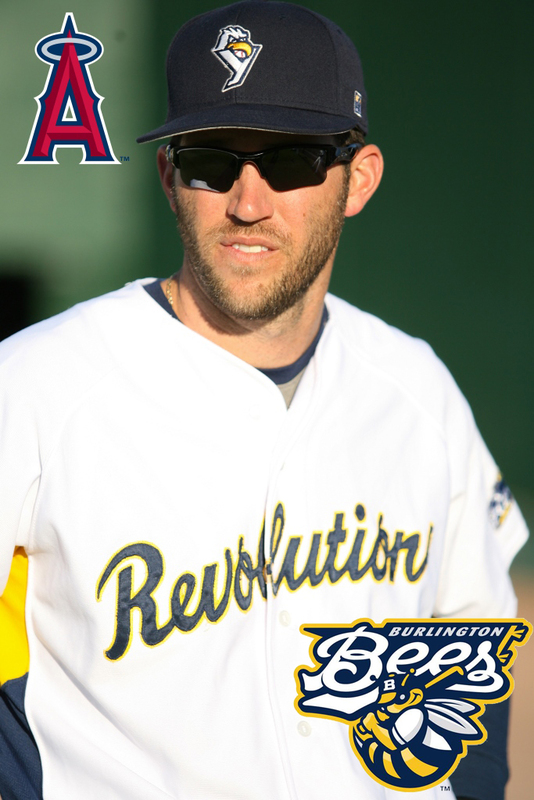 The Angels have assigned Tracy to manage the Class A Burlington (Iowa) Bees of the Midwest League in 2015. Tracy’s playing career wraps after nine professional seasons, and one and a half in York. He retires with 155 professional home runs, 32 of which came with the Revolution in 192 games for York. Tracy was a third round draft pick of the Texas Rangers in 2006 out of Pepperdine University, and spent time in Triple-A with the Rangers, Rockies and Royals. Originally drafted as a catcher, the durable first baseman logged at least 130 games in a season six times. 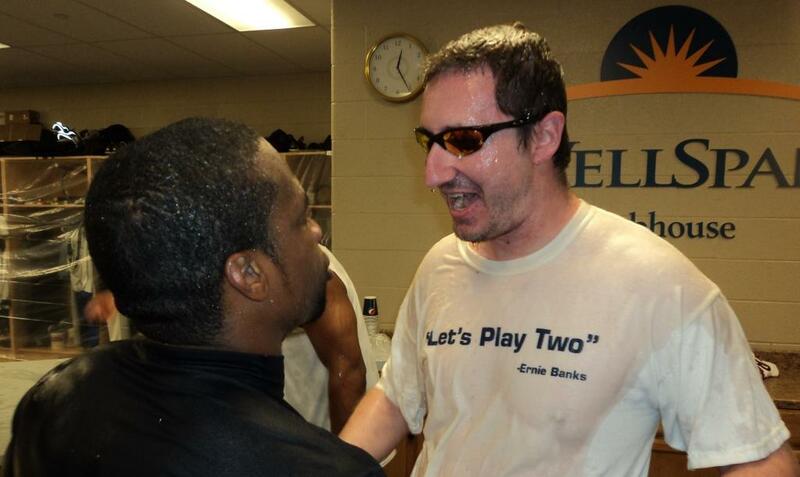 Twice he drove in 100 runs – 107 for Double-A Frisco in 2009 and 109 for Triple-A Round Rock in 2011 (TEX). Tracy narrowly missed the third 100-RBI season in Revolution history in 2014, driving in 97 runs in 133 games. That total still led the Atlantic League. Today the York Revolution announced plans for a drastic upgrade to the stadium’s electronic signage. New high-definition L.E.D. scoreboards will be installed in left-center and right-center fields, over 100 feet total. A new high-def marquee sign will also be added on the Brooks Robinson Plaza. The off-season is upon us, but we have plenty of content to keep you occupied here at BlogToBlogChamps. Each Monday, we’ll publish a feature from the 2014 York Revolutionary Times, the official game day magazine of the York Revolution, for you to re-enjoy, or read for the first time in case you missed it at the ballpark. The 2014 season marked the 500th home game in Santander Stadium history. The Times asked the only radio broadcaster in Revolution history about his favorite moments, and to reminisce about the milestone. I can’t really remember what summers were like in York before we had this stadium. It’s become my life. It’s become life for a lot of people in this area during the summer. It’s been all good from my vantage point. The stadium looks just as good as it did from the start, and it’s really become the place to be on a summer night in York. It’s tough to find an image of Scott Rice we haven’t used yet in the many, many times we’ve written about him. While this photo may be two years old, we’re sure Rice is just as excited about re-signing with the Mets as he was when he first signed with them. The news broke overnight, as will happen with a west coast winter meetings. We saw it first from the New York Post and CBS Sports.com. 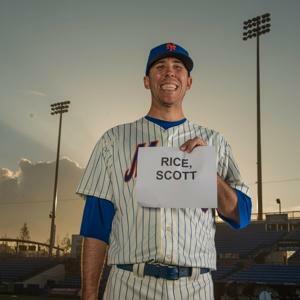 At the end of October, when former Revolution pitcher Scott Rice (’11) was taken off the New York Mets 40-man roster, it looked like he might sign with another organization as a free agent. As it turns out, the the organization that finally gave the one-time 31-year-old rookie the chance to pitch in the big leagues after 14 minor league seasons was still interested in his services, and the interest was mutual.